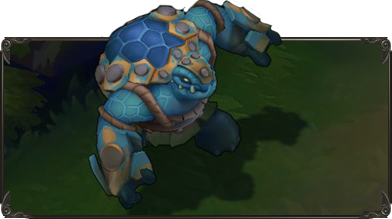 Batten down the hatches - a massive update has been pushed to the PBE! To kick off the 5.14 PBE cycle, we champion updates for Gangplank and Miss Fortune, new skins for Miss Fortune, Graves, Twisted Fate, Garen, Aatrox, and Quinn, new summoner icons, new ward skins, a look at the upcoming Black Market Brawlers featured game mode, and more! We have a total of SIX Bilgewater-y new skins currently testing on the PBE! "Leading the crew is Captain Fortune! 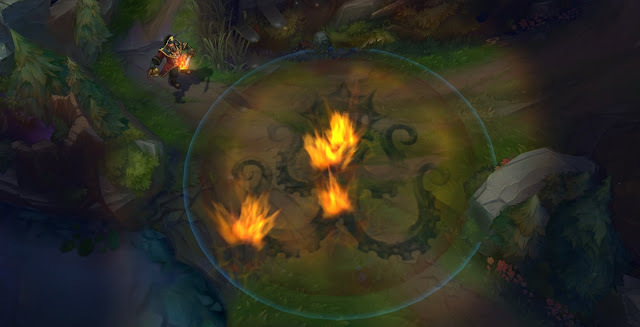 She will also be using the updated animations and particles that Miss Fortune received in her update. 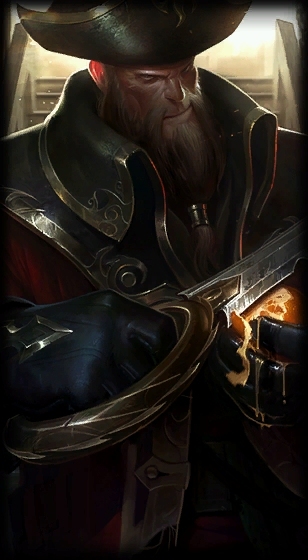 Captain Fortune is now available to play on PBE! We always find bug reports and feedback super helpful, so feel free to comment in the thread below! Likewise, if you've got any questions, post 'em here, and we'll do our best to answer them! Quality of life card backs on Twsited Fate's (W). 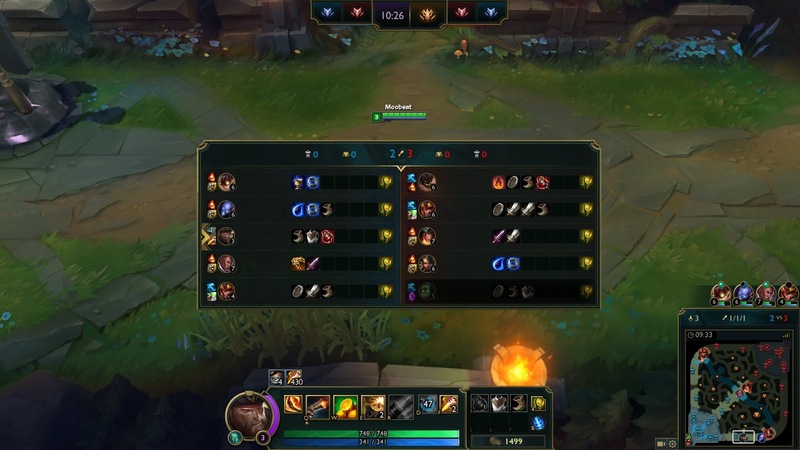 Your feedback and bug reports are extremely helpful to us, so please check out Cutpurse Twisted Fate & Cutthroat Graves and let us know what you think! Feel free to drop any bugs you find in this thread as well! Here's Nurse Flan with a bugs & feedback thread for Sea Hunter Aatrox, Rogue Admiral Garen, and Corsair Quinn. 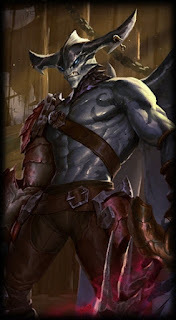 "Whispers in taverns speak of a rogue slaughter fleet that haunts the coast of Bilgewater. They tell of a legendary sea monster that set foot on land, a dangerous turncoat admiral that would kill for a bit of coin, and a treacherous beauty that lives for the thrill of a kill. Read over their wanted posters before you go, prepare yourselves of what's to come. Be wary as you enter or leave the docks, and may the winds be ever in your favor. He's a hybrid shark monster of the deep! An ironhook sword and lobster arm! His (R) Massacre textures are new! Platinum hair, eyepatch, and rusty shark pauldrons! His old blue admiral seacoat with a telescope strapped to the back! Fancy, blue steel sword with wave patterns and a golden hilt! **Note: His texture is still going to have some minor color balance tweaks. Pale blond hair with a rebellious orange streak! New Valor model - resembles an osprey / fishing eagle! Subdued Bilgewater outfit with a rusty gauntlet and harpoon! **Note: She has some stretchy model issues that are going to be addressed, plus some base Valor birds that are going to be replaced. 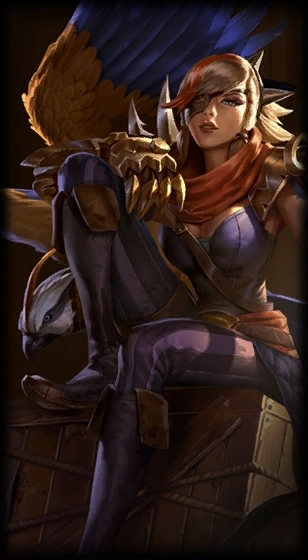 As players who get the first look at these in-progress skins, it would be wonderful to hear your thoughts and feelings on the new Bilgewater-inspired skins! The constructive feedback and bugs you leave here will help us get a better idea of things we may still have to take a look at. :]"
"Cannons will sing 'em to sleep!" 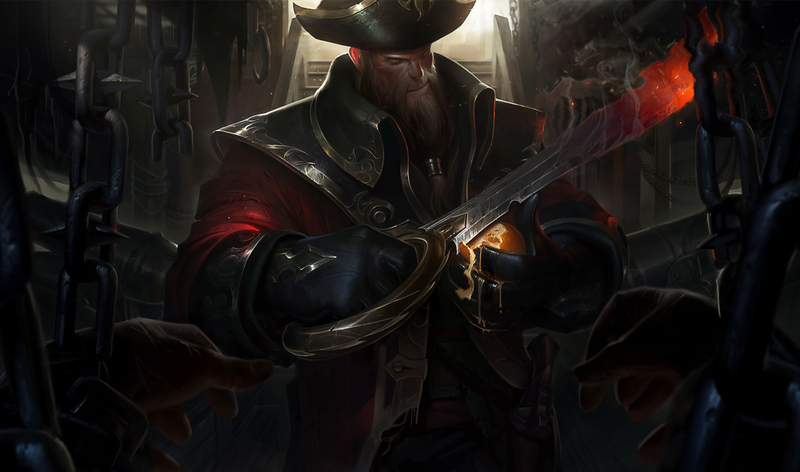 Gangplank's champion update is now on the PBE, including new visuals, kit tweaks, and updated skins! Be sure to drop off your feedback on GP's update in Solcrushed's feedback thread! 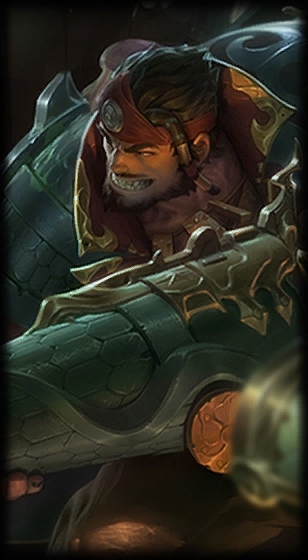 Every 15 seconds, Gangplank's next melee attack ignites the target, dealing 20 + (10 x level) (+ 120% bonus AD) bonus true damage over 1.5 seconds and granting 30% Movement Speed for 2 seconds. Destroying a Powder Keg refreshes Trial by Fire and grants him the Movement Speed. Parrrley does not activate Trial by Fire. Fires a bullet that deals 20/45/70/95/120 (+1.0 Total AD) physical damage (can crit and applies on-hit effects). If Parrrley kills the target, Gangplank plunders 4/5/6/7/8 bonus gold and refunds 50% of the Mana cost. 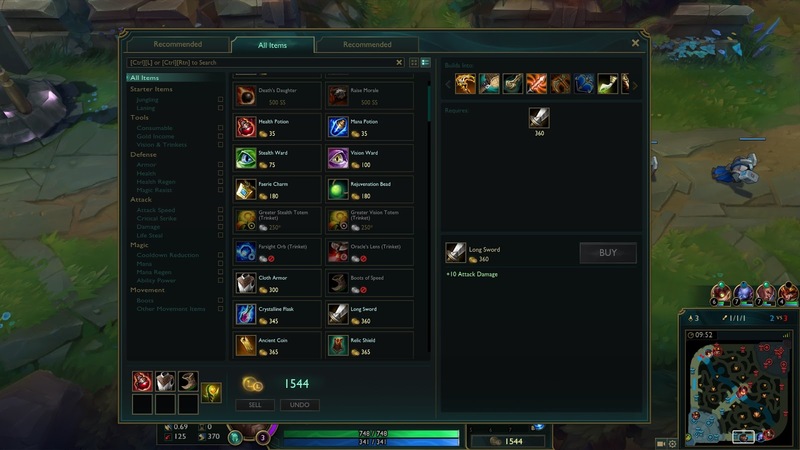 For each Gold plundered, Gangplank gains a Silver Serpent (trade Silver Serpents at the shop to upgrade Cannon Barrage). Gangplank consumes a large quantity of citrus fruit, curing all disabling effects and healing him for 50/75/100/125/150 (+1.0 AP) + 15% of his missing Health. 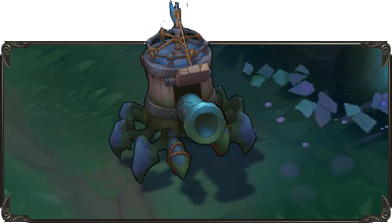 Place a powder keg that can be attacked by Gangplank or his enemies at target location for 60 seconds. 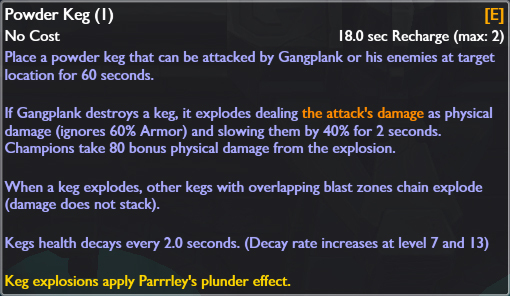 If Gangplank destorys a keg, it explodes dealing the attack's damage as phyiscal damage (ignores 60% armor) and slowing them by 40/50/60/70/80% for 2 seconds. Champions take 80/110/140/170/200 bonus physical damage from the explosion. 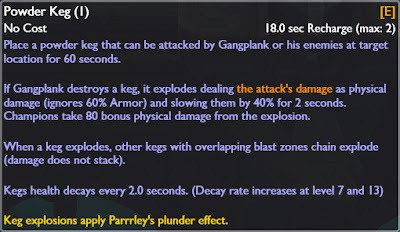 Keg explosions apply Parrley's plunder effect. Signals Gangplank's ship to fire 12 waves of cannonballs at an area over 8 seconds. Each wave deals 50/70/90 (+0.15 AP) magic damage and slows enemies by 30% for 0.5 seconds. Collect Silver serpents with Parrrley to upgrade in the shop. To go with his new visuals, each of Gangplank's six skins have also been updated! "The fun begins." Miss Fortune's champion update is now on the PBE, including updated visuals, new vfx, and kit tweaks! If you have feedback on MF's updates, drop them off in Vesh's feedback thread! 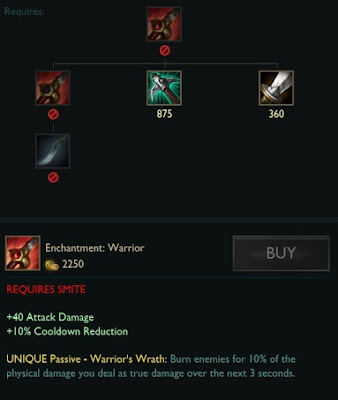 "Strut now has increased scaling based on level, and only falls off when Miss Fortune takes direct, non-periodic damage." [New Effect] If the first target is killed, the second hit will deal 150% damage instead. [New Effect] Now grants Strut when activated. Tooltip now notes how much additional magic damage for each stack of Impure Shots. 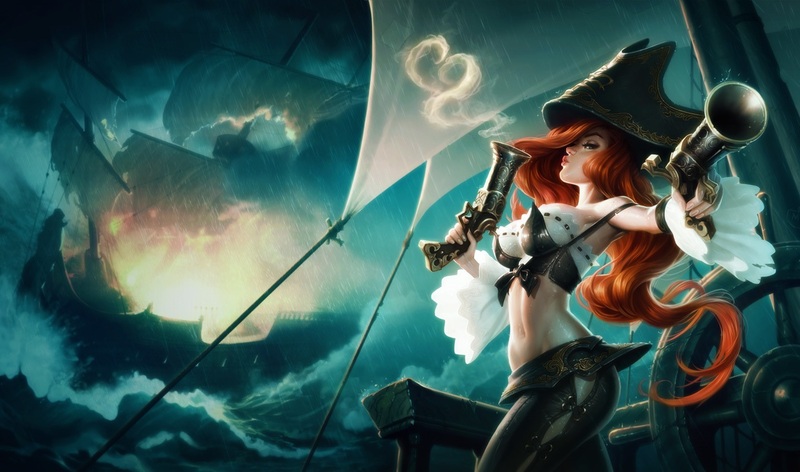 Each of Miss Fortune's seven skins have also been updated with a new look! 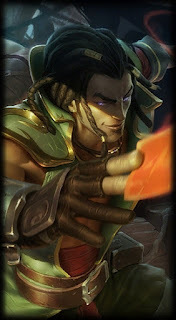 We also have a slew of new Bilgewater, Graves, and Twisted Fate themed summoner icons. Details on how these will be acquired are unknown but at this moment they are not available for purchase in the store. Haven't had enough Bilgewater? 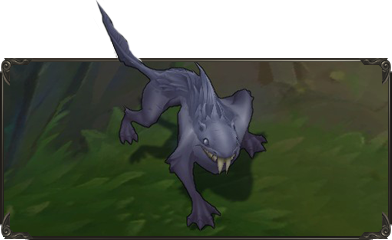 We also have two new ward skins! 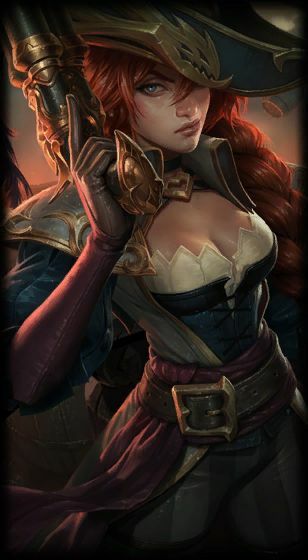 Ever wonder how Miss Fortune always manages to find her Bounty Board targets so quickly? 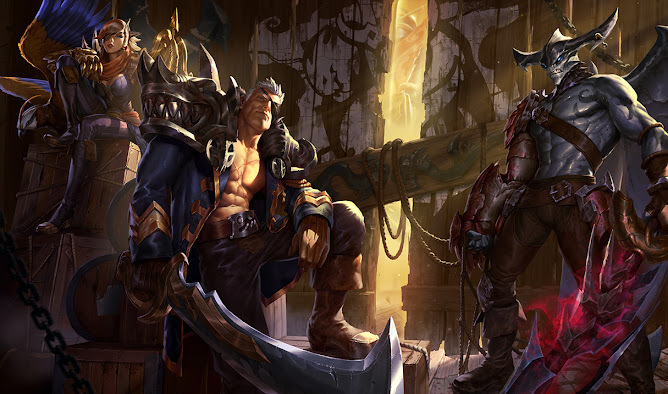 Or how Gangplank keeps tabs on all the shady denizens of Bilgewater? Wards. 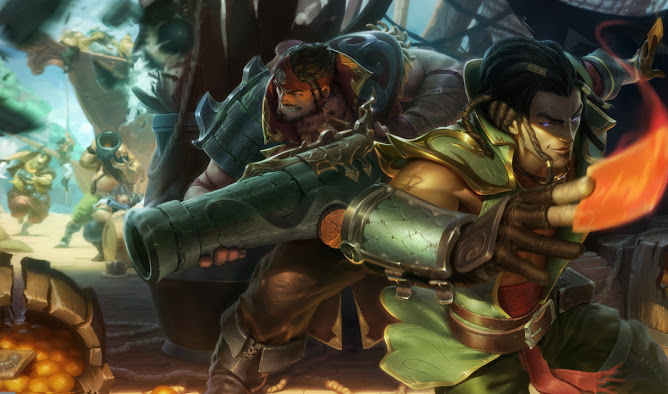 Vision control is key to becoming a powerful figure in Bilgewater, so grab these two new Bilgewater ward skins and show those powder monkeys that nothing gets past your watchful gaze! These ward skins will be 640 RP each (pricing on PBE is subject to change). Your input is very helpful and valued to us, so please feel free to leave any feedback, questions or bug reports regarding these Bilgewater wards! See you on the Bilgewater battlegrounds! Here's L4T3NCY with information on the new Black Market Brawlers featured game mode. It’s that time again. :D We’ve been hard at work on this one and can’t wait for you guys to get crackin’ in the next featured game mode, “Black Market Brawlers”. This is one of our most complex FGMs to date, with multiple mechanics and a treasure trove of new content to absorb. So buckle in and let’s break it down. TL;DR: Purchase illegal Black Market items and use golden Krakens to recruit new brawler minions as you vie for dominance on Summoner’s Rift! Golden Krakens are a new currency you’ll earn to spend on hiring and upgrading your brawler minion. 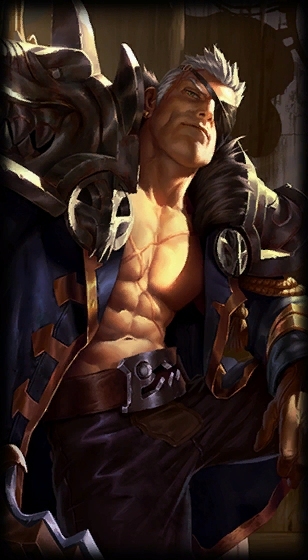 Destroying an inhibitor won’t summon a Siege Minion but instead, dramatically buff all the Brawlers in that lane. There are four types of brawler minions. Each game you will spend Krakens you’ve earned to hire one brawler minion type of your choice, then upgrade him as you see fit throughout the game. 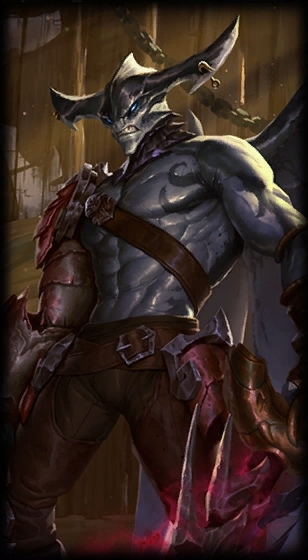 Once hired, your brawler will replace a regular minion and spawn in every wave of all 3 lanes for the rest of the game. Each brawler minion has 3 upgrade paths (Abilities, Attack & Defense) you can pursue to customise them how you want. Upgrades can be purchased from the new “Brawlers” tab in the item shop at fountain using Krakens. Lv 2: Your Ocklepod has 20 MR. Shield now blocks 250 + (2 x Ocklepod's AD) damage and is cast every 4sec. Adds an ability to your brawler. Each brawler minion has different abilities unique to them (Total 3). See above for detailed descriptions of each brawler’s unique ability upgrades. Adds extra HP to your Brawler (Total 3). UNIQUE Passive - Furious Swipes: Basic Attacks grant Malice Charges upon hitting an enemy. After 3 stacks, your next 3 attacks will be at maximum attack speed, but deal -50% damage. Charges expire after 3sec. UNIQUE Passive - Basic attacks build Flesh charges. After 5 basic attacks, the Flesheater active will be ready. UNIQUE Active - Flesheater: Rip the flesh from target enemy minion dealing 200 (+75% AD) true damage to the target, healing the user for 50 (+75% AD) HP and adding 1 Flesh stack to the item. 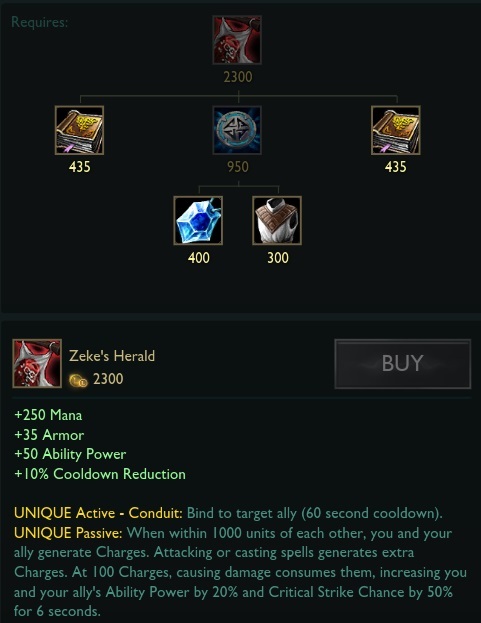 UNIQUE Passive - Each stack on Flesheater adds +1 AD to the wielder. UNIQUE Passive - Mark of the Sands: Basic Attacks apply a Sand Mark on the target revealing them for 3sec. Only one enemy can be Marked at any time. UNIQUE Passive - Malice: Gain 20% movement speed for 2sec when hitting an enemy with a damaging spell. 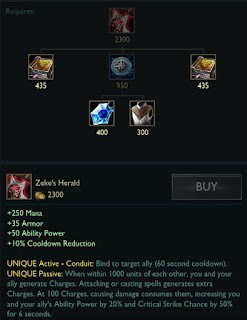 UNIQUE Passive - Razing: Gains charges upon moving or killing enemies (200 charges max). Attacking a structure expends 50 charges to deal 100 (+15% AP) bonus true damage. UNIQUE Passive - Pox: Damaging spells apply a stack of Pox (max of 5) to enemy champions hit for 10sec. 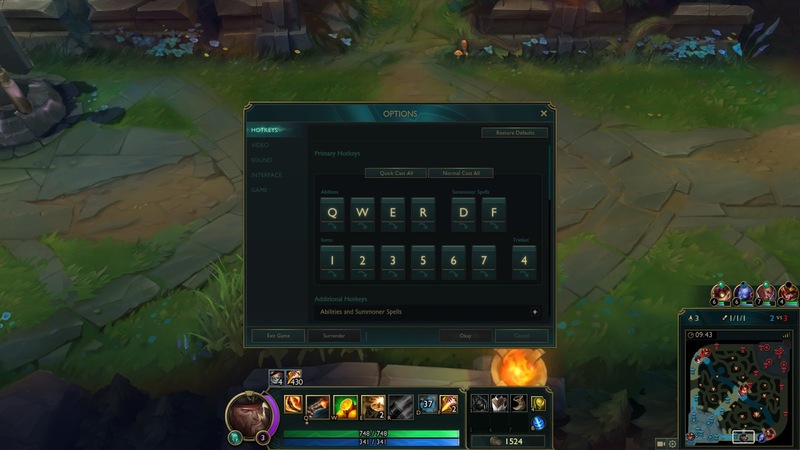 UNIQUE Passive - Mana Font: Restores 2% of missing Mana every 5sec. UNIQUE Passive - Dreadnought: While moving, build stacks of Momentum, increasing movement speed by up to 60 at 100 stacks. Momentum quickly decays while not moving. UNIQUE Passive - Crushing Blow: Basic attacks discharge all Momentum, dealing 1 physical damage per 2 stacks. UNIQUE Active - Swindler’s Shield: Shield ally for 60 HP and generate gold equal to 25% of the damage absorbed (15sec CD). Self-cast shields will not generate gold from Monster damage. UNIQUE Active - Safe Harbor: Lobs a bubble that shields nearby allies for 150 HP and generates gold equal to 25% of the damage absorbed (maximum of 100 gold per cast) (15sec CD). Self-cast shields will not generate gold from Monster damage. UNIQUE Active - Teleport: Teleport to target allied object. 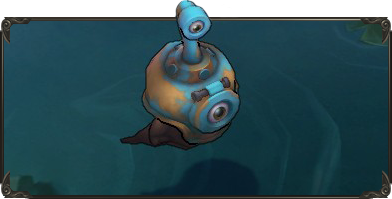 As expected, the work in progress HUD Update is back on the PBE for more testing! Cocoon (Human E) Cooldown lowered to 14/12.5/11/9.5/8 from 14/13/12/11/10 seconds. Cocoon (Human E) stun duration changed to 1.5 seconds at all ranks, down from 1/1.25/1.5/1.75/2 seconds. UNIQUE Passive: Every 2 seconds emanates a pulse dealing 40 (+2 per champion level) magic damage to nearby enemy champions and reduces their Magic Resist by 5% for 6 seconds (stacks up to 6 times, up to 30%). [Added] New UNIQUE Passive - Warrior's Wrath: Burn enemies for 10% of the physical damage you deal as true damage over the next 3 seconds. Gold per 10 seconds increased to 15 Gold from 2. Gold per 10 seconds increased to 10 Gold from 2.